Did you know that currently, Hoarding or Squalor affects up to 5% of the community. Sadly in the community people can at times assume wrongly of residents suffering from Hoarding or Squalor not realizing that Hoarding in it self is a Diagnosed Disorder in the Diagnostic & Statistical Manual of Mental Health. As a community we need to work caringly to assist residents affected inn Hoarding or Squalor to which MDC Services does actively. Assisting residents affected by Hoarding or Squalor doesn’t happen overnight and this needs to be done in stages with the assistance of the resident working together with providers specialized in the Hoarding or Squalor sector. 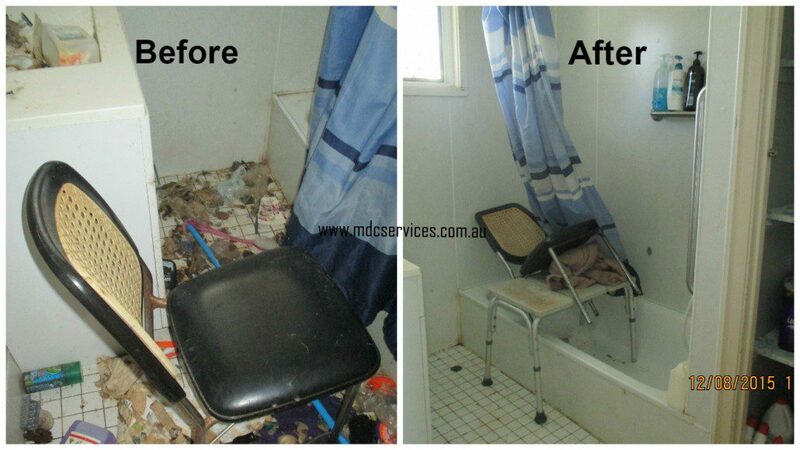 This is where MDC Services can help you or someone you know whom is affected by Hoarding or Squalor. In short, everyone hoards. You may think “I don’t hoard” but have a look in your place and see how many of the same items you have. I for one am a Hat and after shave hoarder because I enjoy collecting these items and to date have at least 10 of each. Doesn’t sound like much, but it is a collection and some people collecting in larger volumes which may than lead to Hoarding or in case Squalor. Martijn van Lith (Founder and Director of MDC Services) has been working in the Hoarding and/or Squalor sector for over 8 years. MDC Services helps residents through direct contact with MDC Services or through referrals from NGO’s (Non-Government Organizations), local Councils, Health Authorities, Family members and so forth. Working in these environments to assist the resident with Hoarding or Squalor issues is not just as easy as putting everything in garbage bags and to dispose of. We need to remember that when we are assisting persons suffering with Hoarding and/or Squalor, items in the property are the resident’s possessions and collections so care is needed. MDC Services spends the time with the client/resident to work out plans on how to assist in the residents property to get on top or the Hoarding and Squalor concerns and to work with the resident to bring the property back to a condition to enhance the quality of like and minimize and possible health risks that may be present. Call MDC Services today to see how we can help and please take a look at the information provided in the links relating to Hoarding & Squalor. MDC Services hopes that this information will help and that we can help you too. Help is there and you are not alone. 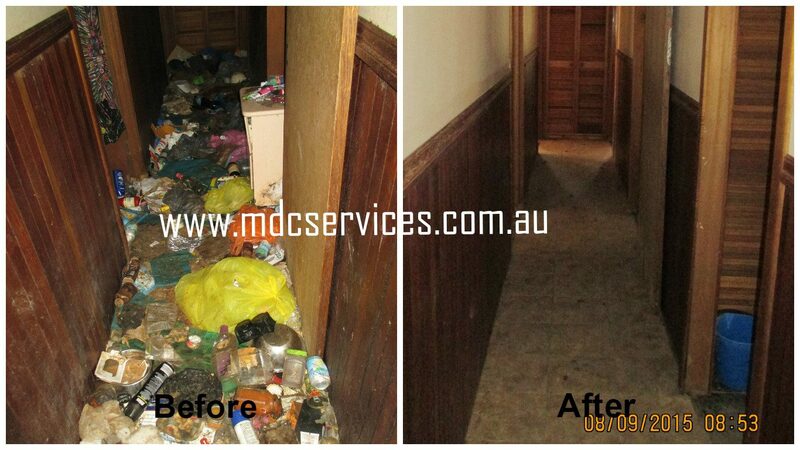 MDC Services are fee for service based. If there is a service you are after that is not listed below, please do not hesitate to contact MDC Services and see if MDC Services can assist you. Initial assessment of the property with the resident/or career. 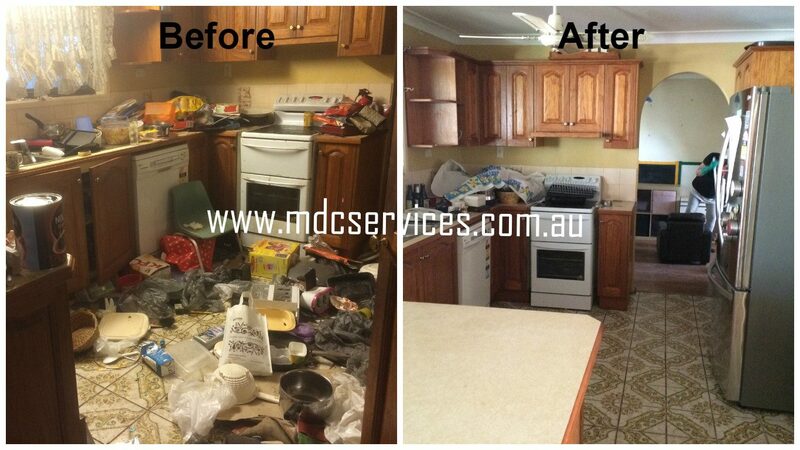 Call MDC Services on 1300 851 445. See how we can help and work with you.